You are here: Home / Money / Business / 2nd Great Recession Will Hit Black Population in Eight Years! 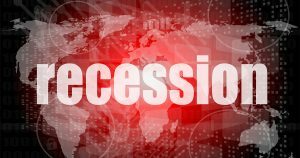 2nd Great Recession Will Hit Black Population in Eight Years! As the African American community crosses this threshold yet “again,” there will be no monetary rescue of their communities, as illustrated above. As the stark realization of widespread joblessness clamps down upon AA neighborhoods, with the repercussions of black on black crime, the black community will look to a federal government and African American leadership in vain. Never has black leadership in this nation been so shockingly lacking in the most callous fashion during a very critical time. Why, even now there is no public pronouncement or outcry as these rates move higher, tightening their grip on African American communities nationwide. There is nothing but the loud sound of deafening silence! Nevertheless, the nation as a whole should be concerned, as African American lay-offs and high unemployment rates are reliable leading indicators of where the economy is headed, because African Americans are the first worker group laid-off as the economy deteriorates. Their high rates of unemployment are a clear demonstration for the need of a fiscal job creation plan that will create consumer demand. If such a job creation plan is not forthcoming from the federal government and current black leadership, the AA community in order to save itself from economic destruction, must itself develop and coalesce around such a plan. If the AA community does not put forth a credible fiscal job creation plan, even a fool can see it is facing a lower quality of life and standard of living as these unemployment rates rise, yet again. Many black leaders and politicians in general have developed alliances personally beneficial to themselves, whether it is with wealthy businesses and corporations or influential donors that have resulted in the policies which have brought the AA community to this place. But, everything that happens in the AA community cannot be laid at the door steps of politicians. Blacks, individually and collectively must take responsibility. This economy and the lives it serves are in shambles because of the AA community’s refusal or reluctance to act in its own best interest. And many of you know this to be the truth when you look at yourselves in the mirror! When you step away from the mirror, you forget who you are, your history and the fact that you, individually can make a difference. We the people have an obligation to step forth, when our political representatives fail us, and demand our government work for us, as it should, because it was created for that purpose. This is what the African American and wider community did with great accomplishment in 1960’s and 70’s. And this can be done again with the same success. What is lacking is the will and confidence to do it! I have created and presented a consumer oriented job creation plan on this site. Many of you have yet to see “the value of this plan” and have not read it. However, as this economy shrinks and tilts downward once again, let me assure and guarantee to you that it will work and is just what the economy needs. But at the end of the day, you have to believe that too, in order for it to have value to you. So, you have to become informed as to what it is and how it works. Politicians are not going to push it, because to be quite frank with you, the plan reveals their embarrassing looseness as fiduciaries when it comes to handling our money as it relates to the Social Security trust fund. So, assessing the value of this plan comes down to you, yes you and whether you want to go through another Great Recession which is literally staring all of us in the face. Read the presentation at the Publishizer site and if you read it, you will see its value and support it. You have the ability to mainstream this proposal and force a conversation about it. If nothing else, forcing a conversation about the economic condition of the AA community as result of supporting this plan has its own rewards and benefits. The plan utilizes you, the consumer. It takes advantage of the fact that consumers represent seventy per cent of the United States’ Gross Domestic Product (GDP). “The Fix This Time” (aptly named) is at https://publishizer.com/the-fix-this-time/ . You can’t begin to imagine how many lives can be changed by you. It’s not a stretch to say African American lives will be saved as joblessness plays a major role in the high homicide rates of many of our young people in cities and towns around the nation. In supporting “The Fix This Time,” you bring it to the attention of other hard working Americans which will result in making the job creation plan advocated by the book a legislative reality. Thus, we will finally after almost a decade bring these suffocating high unemployment rates to an end. If you, your friends and associates do this, you will reap the benefits of a robust economy for years to come. Change really requires action…your action. Change does not happen by itself; it needs help…your help.